Welcome to Mauro Toselli website. 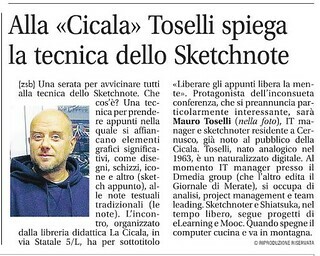 Mauro Toselli is an IT Director, Sketchnoter and Speaker living in Merate, Italy. This is a fun and unusual book, landscape oriented and bound on the large side, completely handwritten and hand drawn. Landscape oriented, completely handwritten and hand drawn. It's a 71 pages PDF about 50MB. 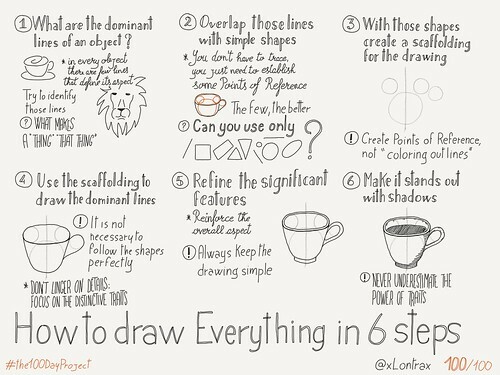 This because all of the sketchnotes are in high resolution for you to enjoy plenty all of the detail. Please note: the digital version is available only for a limited time. It is managed by Refind and it fires once a week (on Sunday) sending a selection of articles and posts I've liked and/or shared during the week. This year is organized by my friend Luis Gonzaga and Daniel Lança Perdigão. It is in Lisboa, Portugal on September 20- 22, 2018. Tickets available on Eventbrite: book your place today!!! On Friday I've been ivited to run a workshop with my dear friend and super talented sketchnoter Marc Bourguignon and it was incredible and magic! On Saturday I gave another workshop about Visual Problem Solving and was so fun! I met fantastic people I knew only through Twitter and the feeling was we were friends since ages. It was not an easy choice. I thought, meditated, tried and, eventually, I had to be honest with myself: freelancing is not for me. Here you can see some of the sketchnote I did while "thinking out loud"
This is my sketchnoted recap of my time in London. It was awesome! Moreover is the first time I did a sketchnote specifically to be colored. 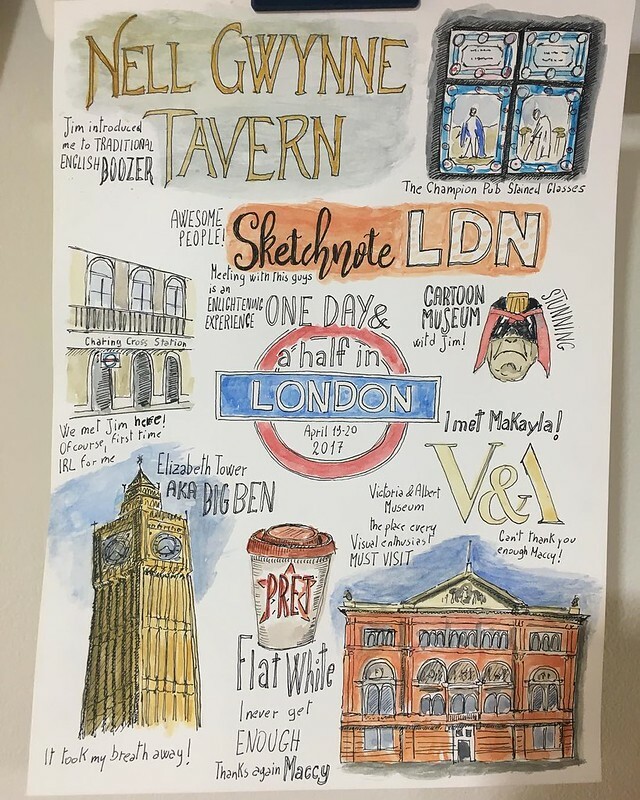 April, 19 2017, I attended Sketchnote London Meetup. I had the great opportunity to to talk about Visual Problem Solving to an awesome group of talented people! Many thanks to Dr. Makayla Lewis, Nidhi Narula and Sketchnote London for making this possible. We are open! Come in! I opened an online shop on Society6. You can find som of my drawings, sketchnotes and logos beautifully printed. After 17 years in the same company, I took this epocal decision. March 31, 2017 was my last day at office. Visual Problem Solving v2.0 is here! On Nov, 21st 2016 I started my second #the100DayProject. See all images in this Flickr Album. This is the true essence of a Community: different styles, different minds, different approaches for a shared goal, everyone looking in the same direction. 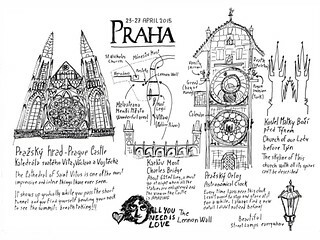 Read the whole story of this project on Sketchnote Army. I'm particolarly proud of this one. Virtual guest at Sketchnote London MeetUp! An incredibly nice and smart community! It was a great experience and I had lot of fun! "100+1 Drawing Ideas for Sketchnoters and Doodlers" is out! Today, May, 21 2016, the book was released in the wild . I want to thank you all those that encouraged and supported me during #the100DayProject and then in this book project started only 10 days ago. This was truly a gift. I did it! I posted on Twitter a drawing tutorial each day for 100 days. I'm very grateful to the sketchnoters and #todaysdoodle communities: they were so encouraging and supportive! 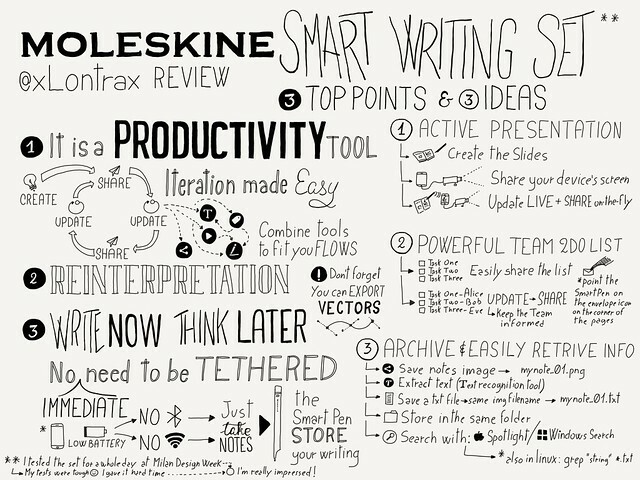 On Tuesday April 12th at 3pm I'll give the workshop "Free your Notes to Free your Mind" in which we will learn to get the most out of the new Moleskine Smart Writing Set. You can find all details about the location and a bunch of other great activities and events on Tortona Design Week website. 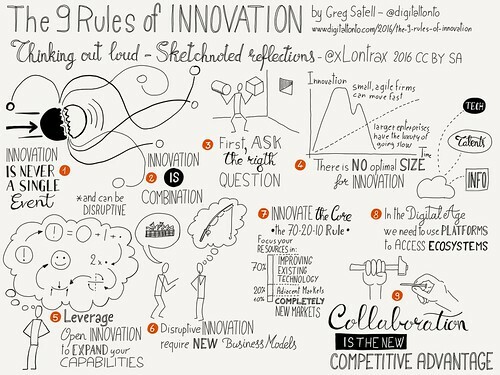 The author of "The 9 Rules of Innovation" Greg Satell republished my sketchnoted recap on his website DigitalTonto and on FORBES. On National Handwriting Day one of my notes has been featured on " Moleskine International website and on CNN. For 24 hours on January 11th of each year (starting in 2016), sketchnoters and sketchnote enthusiasts across the world will celebrate the technique that disrupted note-taking and visual communications! 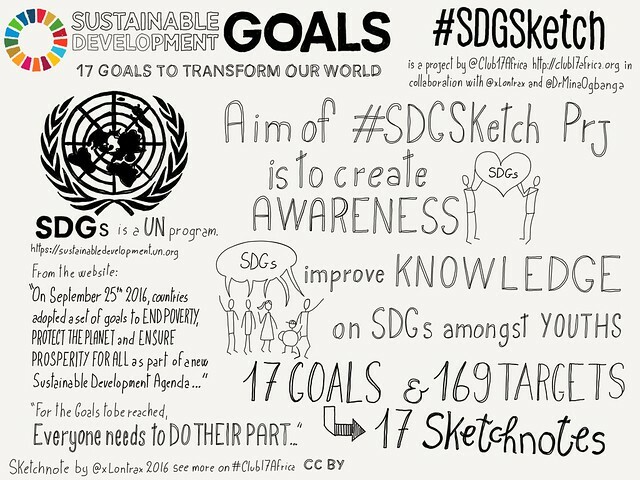 BIG CONGRATS to the amazing @xLontrax - my Chief Operating Sketchnoter at @SketchnoteArmy for the hard work organizing #SNDay2016! The Sketchnote Workshop in Paper is live! Here you can have a glimpse of the Sketchnote Workshop in Paper. Is very easy to partecipate: just download the free Paper by 53 app on your iPad or iPhone, register and follow me. Between September 21st 2015 and October 4th 2015 I share the slides with the descriptive texts. Starting from day 2 to day 7 there will be assignments, from day 8 to day 14 there will be challenges. 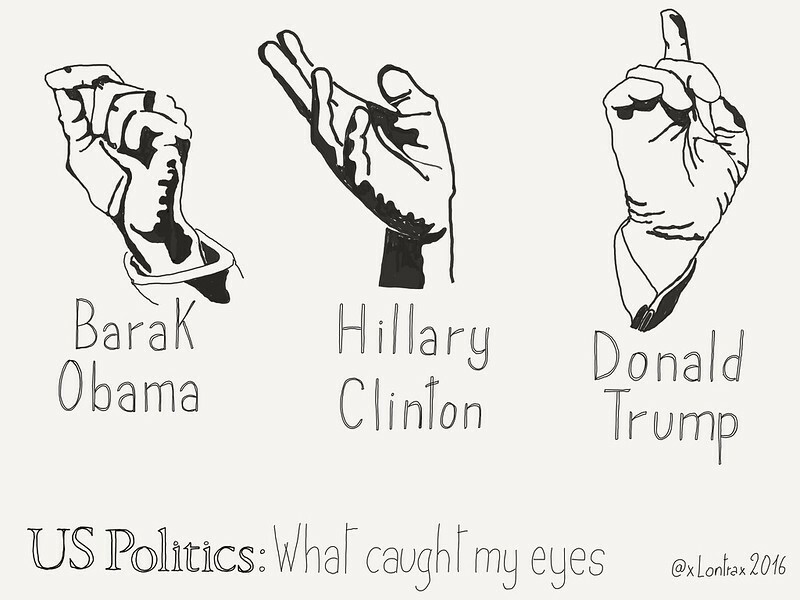 Is that easy! Join us, you'll have fun! The brand new Forme e Percorsi website is online!!! Forme e Percorsi, was founded by my friend Davide Galletti who is the Owner and CEO of the company. I helped building the website and it was great. In our endless evenings we always started working on the website and ended up talking about Problem Solving, Systemic Innovation, Inventions. He introduced me to TRIZ, Theory of Costraints. General Theory of Innovation, just to mention some. If you need a "Serial Innovator" Davide is your man! "Introduction to Networking: How Internet Works" is out! In 2015 I illustrated with sketchnotes Dr. Charles Severance's book "Introduction to Networking: How Internet Works". 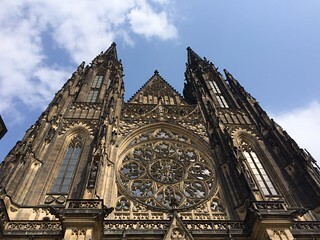 For the second year I'm Community Teaching Assistant for 2 MOOC by University of Michigan - School of Information: Internet History, Technology and Security" and "Programming for Everybody"
I have been at iCON Prague 2015 where I met Mike in person for the first time. 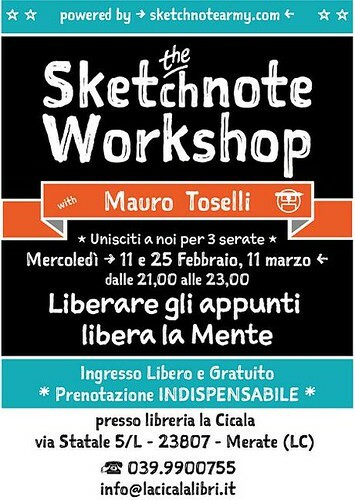 "The Sketchnotes Workshop" at La Cicala Bookstore in Merate (Lecco) Italy. 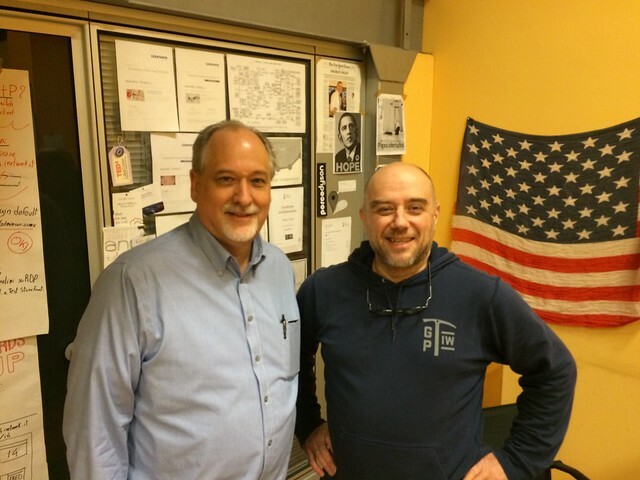 First Italian Office Hours with Dr. Charles Severance from University of Michigan. It was AWEWSOME! "Sketchnotes per tutti" Lecture I held on Nov, 12 2014 at La Cicala Bookstore in Merate (Lecco) Italy. I've been invited to give a lecture about Sketchnotes on Oct, 18 2014 at "I Luoghi delle Parole" XI International Literature Festival in Chivasso (Turin). 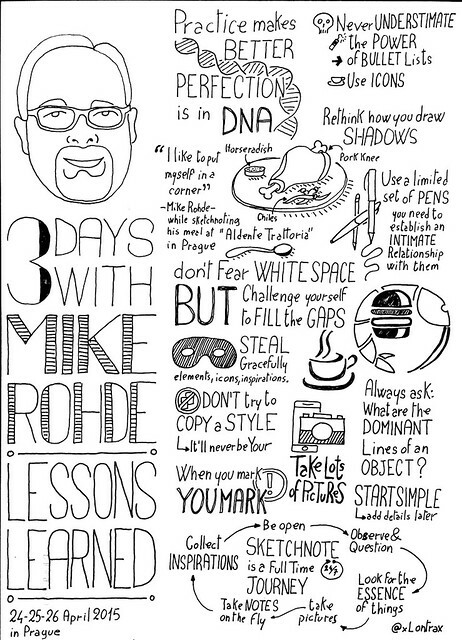 The Sketchnote Workbook, Mike Rohde's new book, is out and I'm one of the featured Sketchnoters! 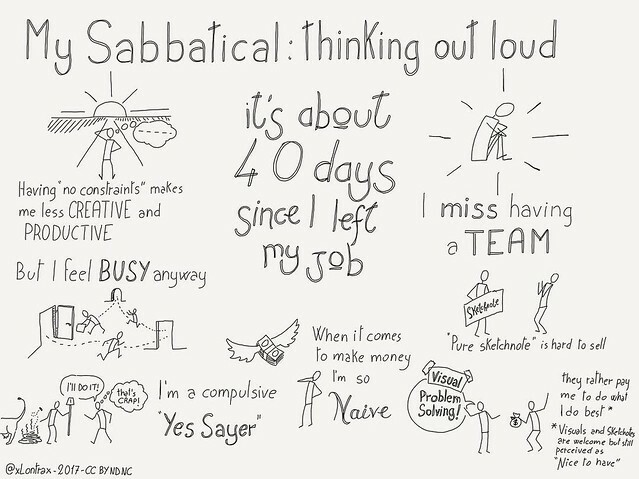 should keep doing it, and see what comes out of it..."
Do not miss this fantastic post about #todaysdoodle community on Claire's blog. 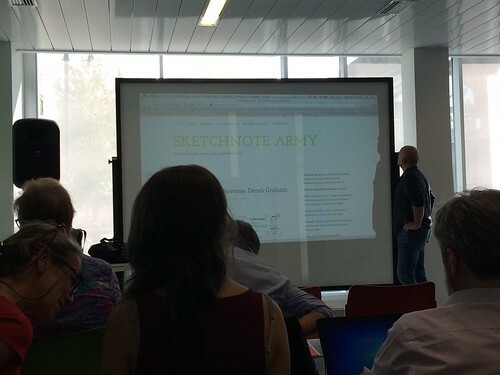 I've been appointed as Sketchnote Army Curator! Happy to have my good buddy @xLontrax as a new curator at @SketchnoteArmy! Thanks Mauro! 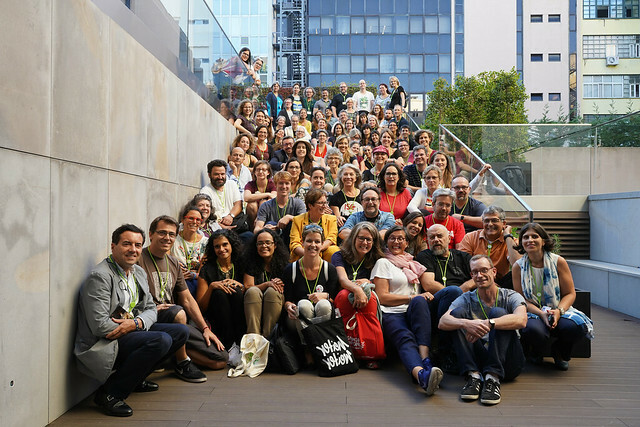 Sketchnote Army is dedicated to finding and showcasing sketchnotes and sketchnoters from around the world.